I’m sure that the majority of readers would have enjoyed climbing trees as a child (I for one still do). The adventure that came simply from climbing among the branches of an old oak really sums up the carefree fun that is gifted to the early stage of life; and while I fully embrace the excitement and freedom of young adult life, sometimes it’s pretty spiffing to seek out the simple sorts of fun we would have enjoyed all those years ago. For me this can be found by going to a crazy bakery and wolfing down a delicious cake or by dancing in my own silly way to music of the 90s. Or by climbing trees. 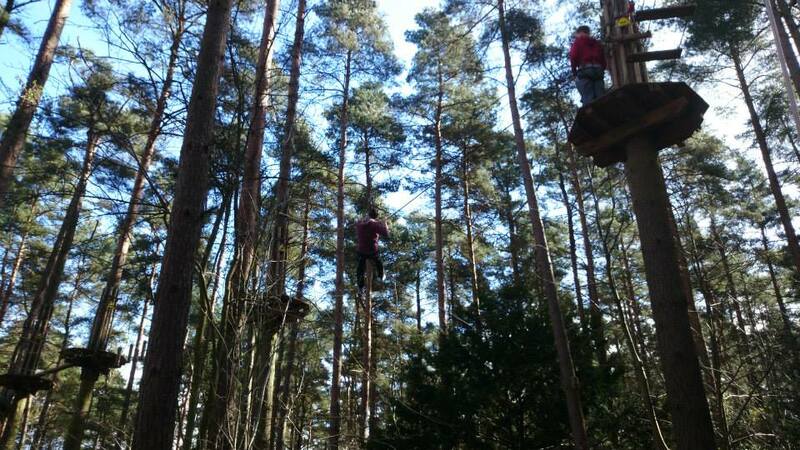 This past week I was blessed with nostalgic fun in the form of Go Ape. Whoever came up with the idea of building a high ropes style obstacle course into the forest canopy is a genius; and deserves a high five or perhaps even a pat on the back. 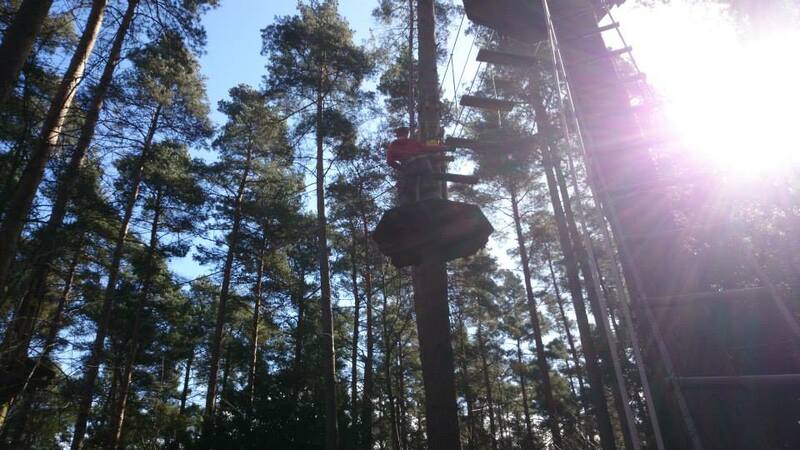 There are courses across the UK; which essentially consist of ladders, balance beams, cargo nets, swings and zip lines – all suspended up to ten metres off the forest floor. I went along to the Alice Holt site as part of an office trip with my colleagues at Thunderbolt Digital, whereby we all got to show off our arboreal prowess to complete the course. The attraction is fantastically organised and the instructors largely leave you to your own devices after a detailed safety brief to explain the safety harnesses and what sort of obstacles are to be encountered. It gets quite tough in places – especially when it comes to the stirrups challenge, which was a test of both upper and lower body strength. The high speed thrills come with the Tarzan swings. These require the aspiring George of the Jungle to step off the tree platform and swing at high speed into a cargo net before clambering back up to continue. Getting back to terra firma at the end of each stage involves a zip line and graceful (or more often resembling an inebriated legless pigeon) landing onto a pile of wood chippings. Go Ape certainly satisfied my craving for reliving the sorts of shenanigans my younger self enjoyed. Feeling simultaneously like a monkey and action hero while traversing the course was a wonderful feeling, but there is also something almost meditative about being up in the trees. Taking a break several metres above the other visitors to the forest allowed me to really take in how beautiful it all was. Listening to the wind whistle through the trees and seeing the rays of the sun shimmering through the canopy has always been something I enjoy, and being able to experience it from this angle was magical. This is why I think it is important for us to hold on to the sense of adventure that we all have as children – we can still get huge enjoyment out of climbing a tree but we can also frame it within the bigger picture of the world and really appreciate what we are experiencing. With all the crazy adventures we enjoy, sometimes there’s nothing better than to relax in the trees, eat a yummy cake or dance a silly dance. As we grow up and get offered so many opportunities for excitement, as well as stress, it’s important that we still know where we can take simple pleasures in life and really enjoy the day to day world around us. That’s my musing for this week; thank you for humouring me and now, off to climb a tree.